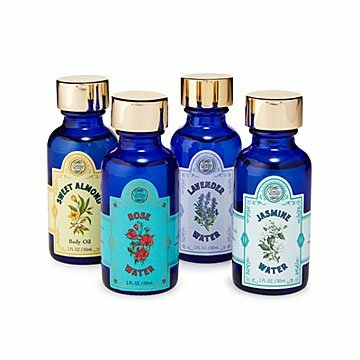 Treat yourself with a trio of fragrant flower waters and unscented almond oil. Can't decide how best to treat yourself? This relaxing sampler—complete with gift box—is on the case. Freshen up your face, your sheets, or your bath with the included trio of lavender, jasmine, and rose flower waters made from essential oils and distilled water. For an increasingly indulgent experience, cover your body in a layer of smooth, soothing unscented almond oil. Add your own essential oils for fragrance, or enjoy the products just as they come—you'll reap the benefits (you know, like serenity) either way. Made in New Jersey.